Can Connected Tech Tame Variable Costs for Your Small Business? Large corporations and enterprise office complexes have been using connected life tools for years, but these energy-and productivity-savers are now also available to small businesses. Just as these tools can create a ‘smart’ home, a small business can become a ‘smart’ business when it adds ‘smart’ security, energy, and lighting functionality. But: Are these technologies at a price point that will make an impact on your bottom line? For many connected technologies, the first question you’ll have to ask is whether the technology impacts you. If you own your office or facility, or your lease makes you responsible for energy bills and allows you to adapt the space to your needs, you’ll find a greater variety of potential smart tech products that can aid you in improving variable costs. Each type of smart technology has an expected lifespan and an initial cost. Like any other equipment purchase, you’ll want to analyze your projected savings over the life of the technology. Does it pay for itself over time with reduced energy costs? Does it increase productivity or improve some other measure that helps your bottom line? Ask the right questions when you’re considering any new technological purchase, realizing that cost may not be the only factor you want to evaluate—but it’s certainly an important one for most of us. A Smart Thermostat—Good for Business? Heating and cooling are some of the most significant costs for an average building. Programmable HVAC systems and thermostats have been around for a while, hoping to reduce energy costs by matching system output to actual need. (So your office is warm during the day, but allowed to cool at night to a temperature that your staff might find unpleasant to work in—saving you some of the cost of heating the building overnight.) A study from Johnson Controls found that many commercial buildings have trouble taking advantage of programmable thermostats, due to varying needs of user groups (landlord vs. tenant vs. maintenance vs. employee). Nonetheless, some very small offices may find that smart thermostats designed for home use can work effectively for their needs, especially if the needs of the user groups are in sync. The Nest Learning Thermostat goes a step beyond most programmable thermostats with artificial intelligence that can remember the temperatures you prefer, when you prefer them. And with its Farsight technology, the Nest lights up when it sees you coming, and can display the time and temperature from across a room. 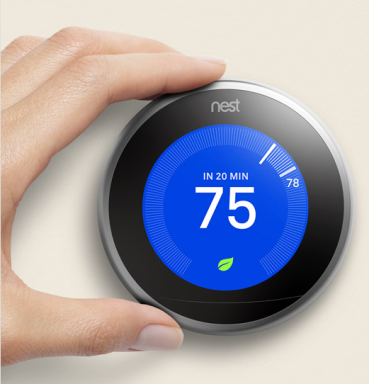 Nest can help you save money and energy, like other programmable thermostats, by automatically raising and lowering the temperature according to your schedule, but Nest connects to your Wi-Fi and gives you full control from your iOS or Android device, wherever you are. For many facilities, lighting is the second largest cost behind energy to run the HVAC system, so there’s long been interest in reducing this cost, as well. In theory, programmable lights and occupancy-sensor switches sound like a good investment—you’ll stop paying for the lights when no one actually needs them. In reality, your savings will depend a lot on your usage patterns, according to a study from Rensselaer Polytech. Occupancy sensors (motion detectors) for your lights are an easy one to understand—these are standard fare in large office buildings, but they’re easy to install yourself with a little electrical knowledge. They particularly may make sense in restrooms or conference rooms—shared spaces where few people feel responsible for turning out the lights. For outdoor lighting or other electrical equipment, you may want a solar or programmable timer. 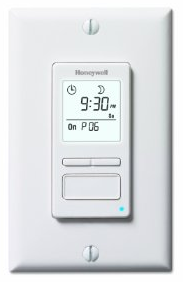 This Honeywell timer can turn lights on and off at sunrise and sunset, or at times selected by you. Other systems like Belkin’s WeMo products are truly connected, letting you turn lights on and off from anywhere with your smartphone, and working with IFTTT or Amazon Echo. These (and some other connected products) are pitched as “smarthome” devices, but many are equally useful for small business use. With each of these, analyze carefully before purchase and installation. Are you hoping just for cost savings? Or is some other element of convenience also driving this purchase? Here’s an area where both costs and hassle come into play. If you keep your facility locked and have to let visitors in manually, a Wi-Fi doorbell can reduce productivity drain and increase security. The Ring Video Doorbell uses your existing doorbell wires and streams live audio and video of your business’s front doorstep directly to your Ring iOS or Android app. Built-in motion sensors detect movement up to 30 feet away and high-definition video recording stores footage to the cloud. Keeping track of keys and facility access is a big pain for many small businesses, and it can get expensive, as well. A smart lock makes sense for a number of small businesses, and you won’t have to send someone to the hardware store when you hire a new employee, or go through an expensive re-key service call when a disgruntled former employee won’t return a key. 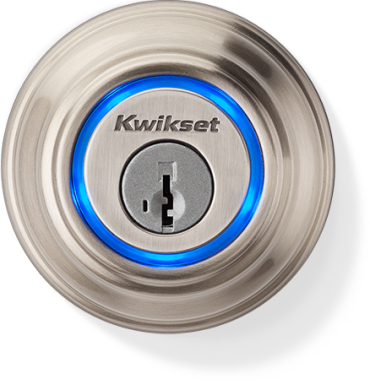 Kwikset’s Kevo Smart Lock allows users to unlock a door by touching the lock with their Bluetooth-compatible smartphone or key fob on their person. Meanwhile, the Kwikset app manager allows access to whomever the users want, including temporary guest passes for service technicians or visitors. Will these connected technologies save your business money? You’ll have to do the math to know for sure. However, for many small businesses, the increased control (sometimes from anywhere via your smartphone) will also be a driver in smart tech adoption. As devices become smarter and more connected to the Internet and each other, Asurion believes we all reap the rewards. The Connected Life shares the Asurion perspective on people’s changing relationship with technology—and the positive impact it makes on our lives.